Are you passionate about securing a job in the field of architecture? Have you started your preparations for the architectural entrance exam? 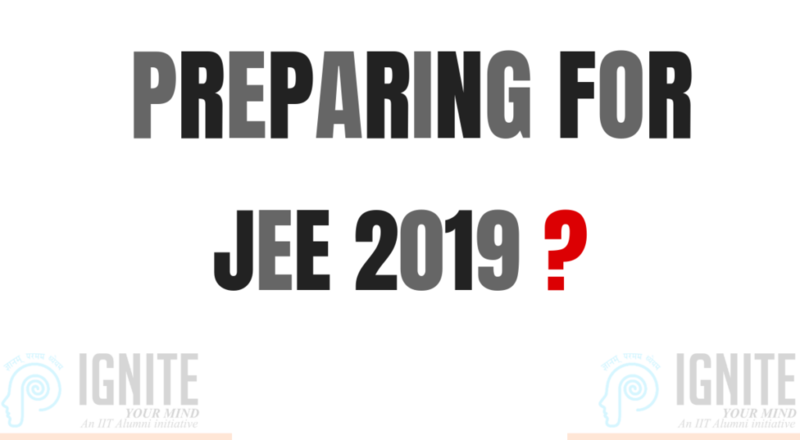 If yes, then you have to know more about the exam patterns and the continuing structure in JEE MAIN PAPER 2. Joint Entrance Examination is conducted for enabling the candidate to get admission for architectural degree in a recognised college. The exam includes the module for mathematics, aptitude and drawing. The main issue faced by a candidate appearing for JEE Main Paper 2, is upgrading their drawing and aptitude skills. And the mathematics module seems to be getting tougher every year with difficult question patterns. Today, IGNITE, your perfect guide in academics is going to make you clear about the facts regarding the exam and how our former students reviewed the same. JEE Main Paper 2 for BArch/BPlan was conducted in different cities across the country by The National Testing Agency on January, 8 in two sessions. The first session was held from 9.30 am to 12.30 pm and the second session from 2.30 pm to 5.30 pm. The test was conducted in computer-based for mathematics and aptitude and the drawing test was conducted in paper pencil mode. According to the nationwide student reaction, the toughest paper was Mathematics. The questions were conceptually based but some sort of extra thinking like out of the box was required to solve the problems. But the review from our students was satisfactory. That they were able to solve the questions and they said the sample papers they were availed with and the previous year questions have helped them a lot. As we have given our students with proper architectural drawing classes our students were also able to prove their skills in the exam. And the aptitude section was also easy. The question pattern was in the ratio of 60:40 from class 11 and 12 syllabus. It was reported to be moderate in the difficulty level. The test was out of 200 marks and carried 50 questions. The questions were normally easy and there was no surprise element in the question pattern. The drawing section was comprised of three questions carrying 70 marks. And the third question had three options out of which one question has to be attempted. * Draw margin lines to form a frame and create an aesthetic composition using equilateral triangles. It should not look like a house face. And the spaces should be filled with colours. Hope you have got a clear idea about the difficulty or intensity of the questions. Sample questions and previous year question papers have a great role in making you capable of meeting all the challenges in the exam. What you have to do is to get trained from experts who can assist you in cracking the exam with high scores. To recapitulate the exam was moderate in its difficulty with a lot of previous year pattern of the questions. An average of 275 marks out of 390 will be enough for securing rank under 500. We are bestowed with professionals who are experienced in teaching to assure success with our students. Mr Abhilash O.S, our NATA co-ordinator is the guiding force for IGNITE IITALUMINI to acquire great heights. The outstanding performances our students have achieved yet is with the help of experts we have and they are, Asha Sreenivas, Madhushitha Aravind for Drawing classes and Prashanth P.M for Mathematics. We can provide you with the best architecture coaching classes in Thrissur. We are enclosing the question pattern for JEE Main Paper 2 exam herewith and we hope you can make a useful analysis from the same. All the very best for your entrance exam and future.